When redesigning the new website for MTDG’s Surf Sushi Bar, we wanted to really capture the experience of the restaurant, while creating an intuitive, responsive design that would resonate well with users. To really capture the Surf Sushi environment, we spent a day there to get a high quality video featuring some of the best aspects of the restaurant. We had a lot of fun at the shoot, (Especially with all the sushi samples! Yum!) 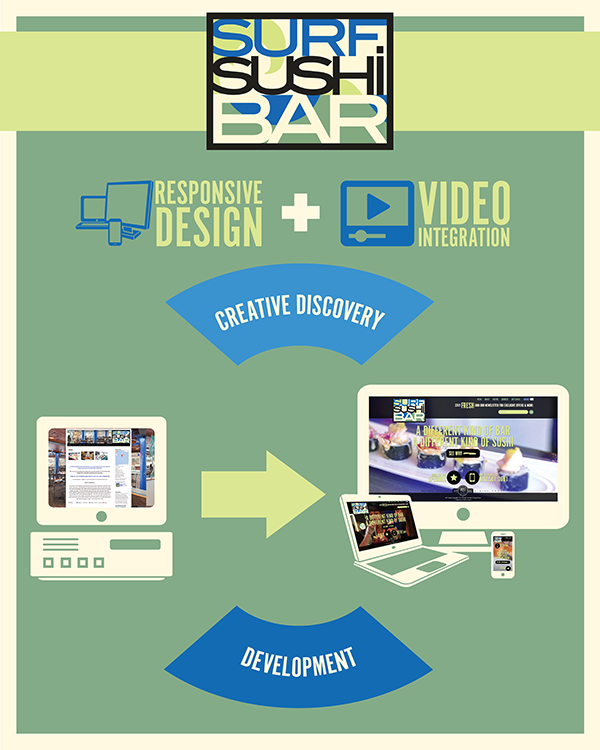 and ended up with a video that we feel really shows the exciting and fun atmosphere that is Surf Sushi! Take a look at the new site, and if you haven’t already — head down to Surf Sushi in Portsmouth and try one of their fresh daily specials, there is something on the menu for everyone!